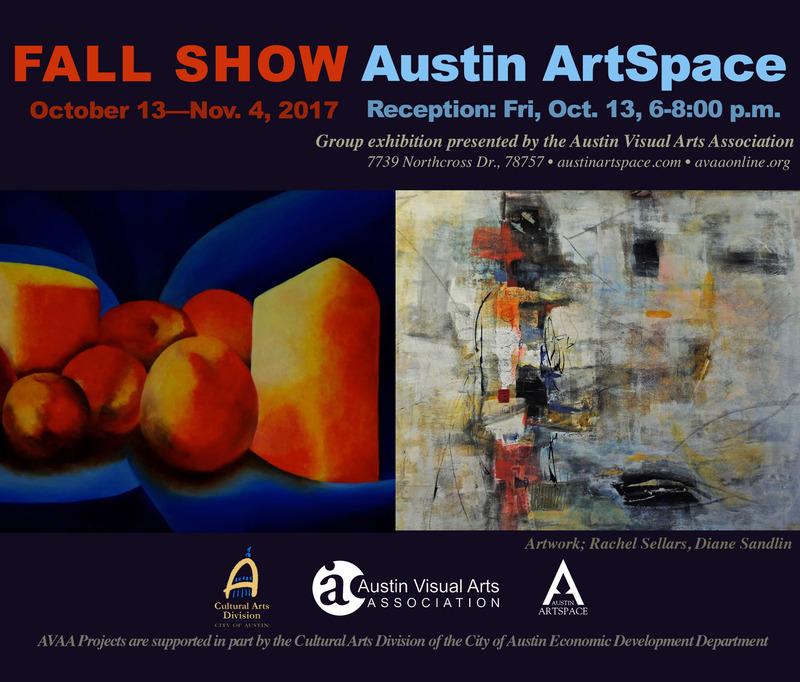 Please join us for the opening reception of the AVAA Fall Show, Friday, Oct. 13, 6-8 p.m. at Austin Art Space, 7739 Northcross Dr., 78757. Exhibit runs until November 4. Gallery hours are Fridays and Saturday, 11-6.